Hi everyone, I have a special post to share with you today. The wonderful and kind Rose (who you might know as the blogger behind Manicured & Marvelous) has been going through some tough times recently, so to support her and cheer her up a bunch of us decided to recreate some of her stunning manis. I started with a gradient done with OPI Give Me Space and Essie Mademoiselle. 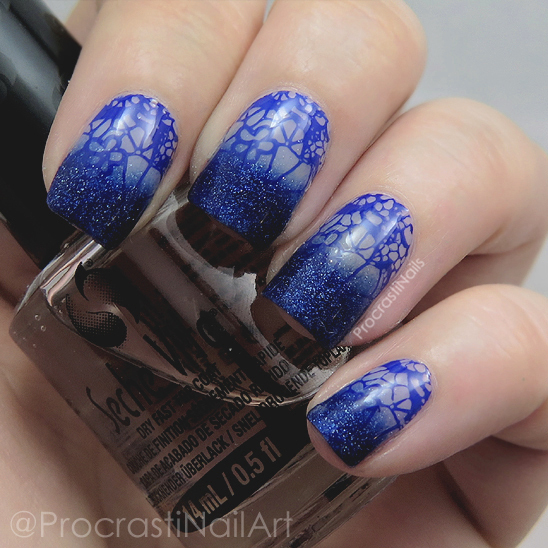 When that was dry I stamped on the lace pattern with Mundo de Unas Dark Blue and MoYou London Bridal Plate 07. Since my stamping colour wasn't quite the same blue as my gradient I did a little bit of dabbing with the glitter again over the stamping at the bottom and then sealed it all with top coat! 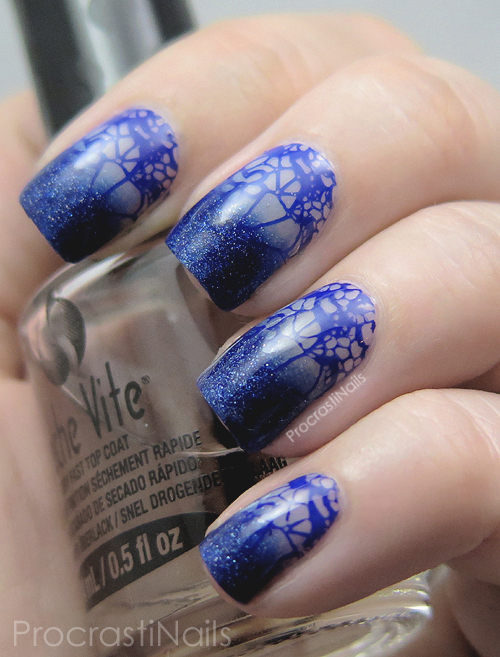 This mani is so pretty! 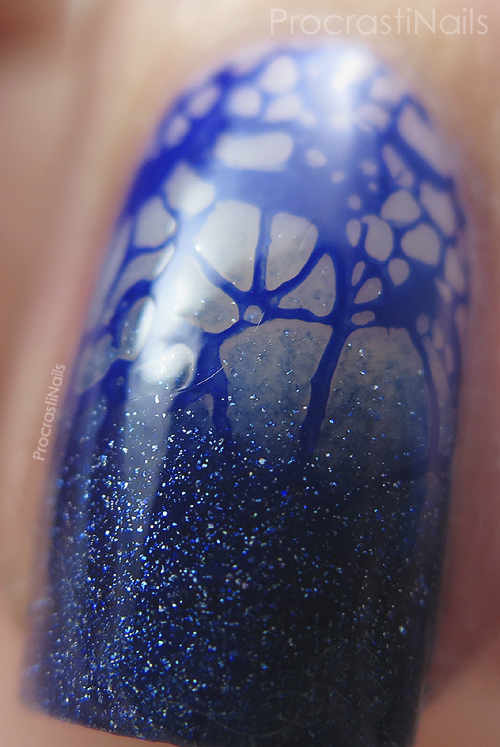 I really like the effect of the stamped gradient. This gives me life! ABSOLUTELY BEAUTIFUL! I love the colours here! Great pick to recreate! I almost did this one!! You wear it beautifully!! Love your blog and I am the follower #200 on GFC.